The Minions Fun Run & Music Festival, based on Universal Studios’ animated movie “Minions,” will take place at Bibi Beach in Itoman City. This will be the first event of its kind held by the studio at a non-theme-park location. 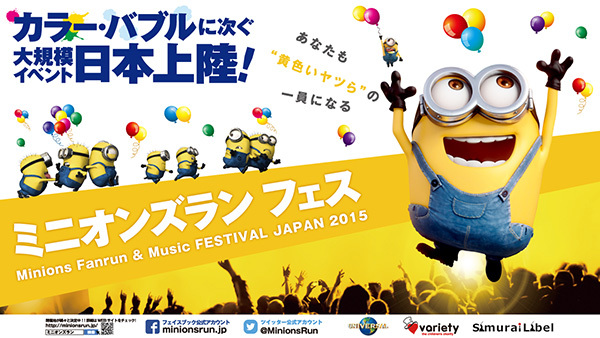 Free Minions costumes are included with the price of admission so everyone can be a Minion as they walk, run, dance or take photos along this three-kilometer course. Entertainment will include music, a DJ and guest appearances. 12,000 participants are anticipated.